The wristbands are 18 mm wide and can fit wrists up to 8.5 in. (215 mm). 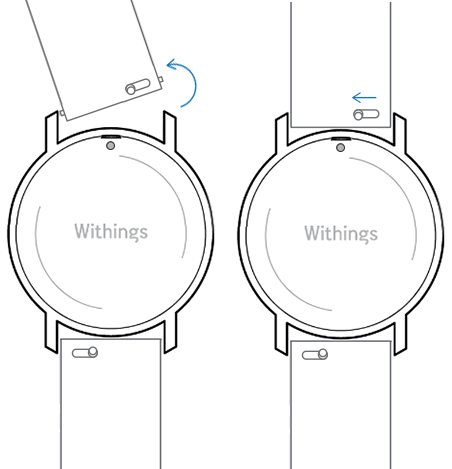 You can use any wristband you like with your Withings Activité / Pop, as long as it's 18 mm wide. 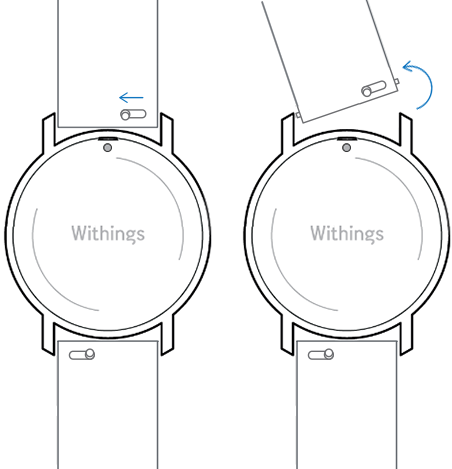 Turn your Withings Activité / Pop over. The wristband is now properly attached to your Withings Activité / Pop.